Several members of the Oregon Cybersecurity Advisory Council (OCAC) were interviewed for a recent article in Oregon Business magazine about the state of cybersecurity in Oregon and the urgent need for a larger cybersecurity workforce in the state as well as a Cybersecurity Center of Excellence for Oregon. In her in-depth article, “Guardians of the network,” Kim Moore, editor of Oregon Business, wrote about the goals of the cybersecurity experts on the Oregon Cybersecurity Advisory Council and the group’s mission to help protect the digital lives of all Oregonians. 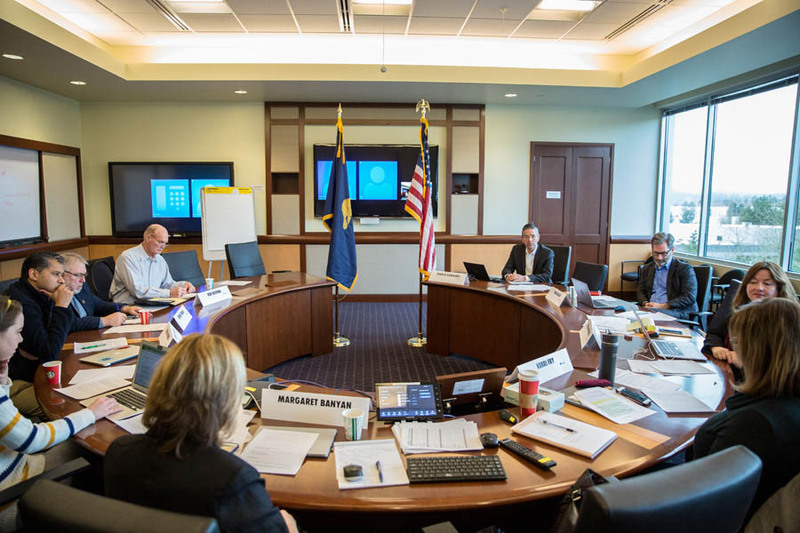 The article highlighted Governor Kate Brown’s formation of the Oregon Cybersecurity Advisory Council, under Senate Bill 90, to develop a shared vision for the establishment of a cross-sector Cybersecurity Center of Excellence, in collaboration with Oregon’s cyber-related industries, private sector security practitioners, educational institutions, law enforcement and local governments. The Oregon Business article also included additional perspective from other OCAC members about Oregon’s urgent need for more skilled cybersecurity workers, the need for a Cybersecurity Center of Excellence in Oregon, and other important issues. You can read the complete Oregon Business article here.